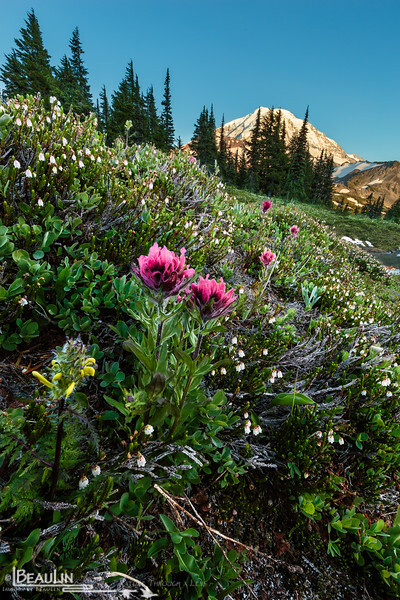 The first mountain heather, Rainier lousewort and scarlet paintbrush of the spring bloom in one of the many alpine meadows of Spray Park within Mount Rainier National Park. This photo is a composite of two exposures, and 14 separately focused images to achieve maximum depth of field from 10 inches to infinity. This shot is not an HDR tone-mapped image.